Discover triggers that propel you into perfectionism and the counteractions to send those tendencies packing! Hear about an accident I had that sealed the deal for me in kissing perfectionism good-bye! Read about life giving principals I learned, because you can learn them too without the accident! Be able to fully embrace and enjoy how you are put together! Be able to really love and enjoy your home – right where you are living by remodeling just one thing! See simple steps you can start taking to navigate relationships with difficult people! You will see that it is possible to enjoy and thrive in your imperfect job! 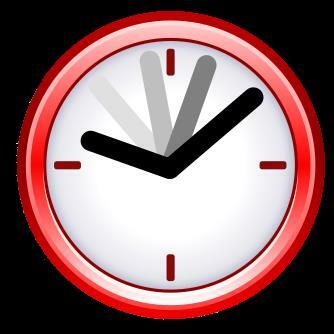 Get ready to enjoy: Your Life – Your Home – Your Imperfect Relationships, and even Your Imperfect Job! Nobody’s Perfect will equip you to do all of this and more! Get ready to understand: What perfectionism really is. And just as important and what it is not! It wasn’t until I encountered some painful circumstances (that I had absolutely no control over), that I realized that I needed to embrace my imperfect life. It was exhausting trying to be and trying to do perfect – and I was done! Even if you have never considered yourself a perfectionist, placing unrealistic expectations on yourself and on others is a set-up for disappointment. Don’t live another day feeling like you’re not enough! Don’t waste another minute comparing yourself to someone else! Don’t spend another second holding your personal so high that no one can reach it! Do begin to discover that your imperfect life is perfect enough – because it is! 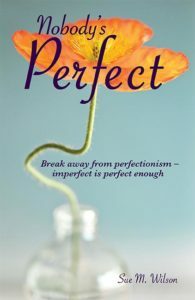 Author and teacher Sue Wilson’s quest to address her own perfectionistic tendencies resulted in a workshop about perfectionism at a women’s conference. Wondering if anyone would choose her workshop over others, she was surprised when double the amount of attendees expected packed the class. With such an enthusiastic response, including hoots and hollers during the “perfectionist test,” which you will find in Chapter 1, Sue decided to extend her research. A group of self-proclaimed perfectionists soon began meeting in her home each week, honestly answering Sue’s questions and sharing their personal struggles with perfectionism. Those discussions led to this book.